For the record I’ve got nothing against the classic Disney World resorts. I’m down with Disney’s Polynesian and Contemporary Resorts, Even Yacht and Beach Club. But gosh dang it, I’m sick of seeing hard working families toss aside one of Disney’s most beautiful hotels just because they think it’s too far from the parks. It’s by far the most unique hotel experience you’ll have without leaving the country and it’s right here at Walt Disney World! It’s also one of the cheaper Deluxe Resorts, not much more than some Moderate category hotels. 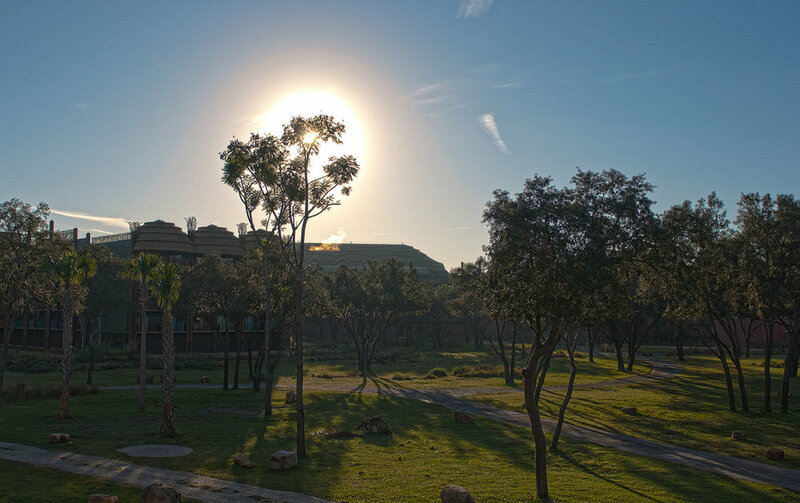 To that end, here are 5 reasons to stay at Disney’s Animal Kingdom Lodge Resort. From the moment you pass the gates you’re immediately transformed into a whole new world. 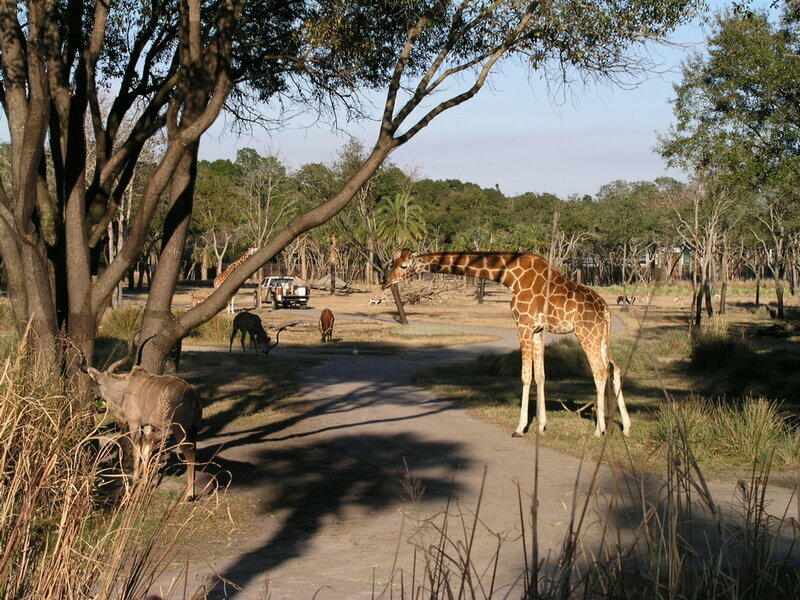 The lush landscaping has been carefully cultivated to resemble an African savanna. Here’s a Disney secret - the planting started two years before the resort opened so it had time to grow and mature. This gives the illusion that the plants and trees had always been there. Drive a little further and the towering thatched roof of the main lobby comes into view. At that moment you realize this is a very different kind of Disney resort. Upon entering the lobby you’ll discover rich woods, golden tones, and authentic African art throughout. There are over 380 museum-quality pieces throughout the hotel and over 4,000 handcrafted works of art in the guest rooms. A mud fireplace is always warm and giant floor-to-ceiling windows provide spectacular views of the animal savanna. 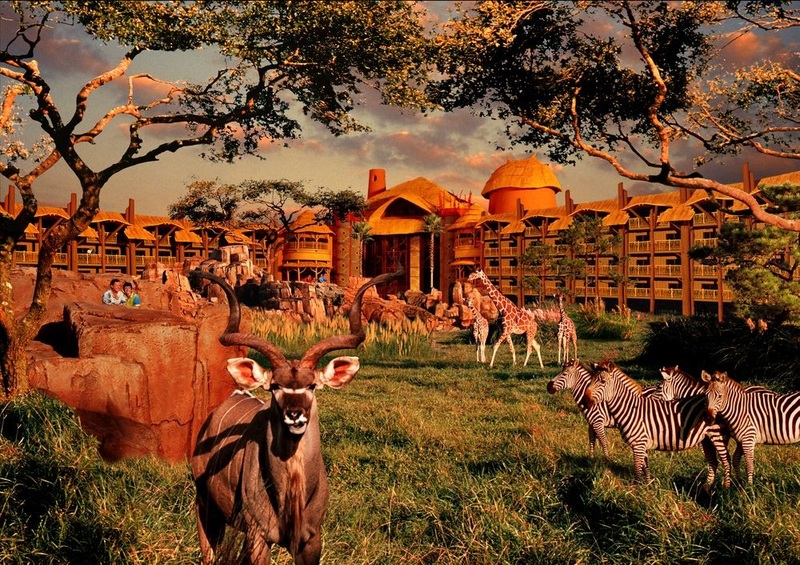 True, Animal Kingdom Lodge is remote, it’s built on 74 acres right in the middle of its own savanna. Surrounding the resort is an animal sanctuary with over 200 mammals and birds like zebra, giraffe, and impala that live authentically in the recreated African savannas. So the fact that this hotel is remote, is perhaps its very best feature! It’s an escape from the excitement and high energy of the theme parks. Here it’s quiet, tranquil, and relaxing. Yes, it’s possible to feel relaxed on your Disney World vacation! And speaking of location, let’s not forget that it’s very close to Animal Kingdom Theme Park including Pandora World of Avatar, Disney’s Hollywood Studios and Blizzard Beach. The signature restaurant, Jiko - The Cooking Place, is one of Florida’s most notable restaurants having won numerous awards and has the most South African Wines than any other restaurant in the United States. Boma is one of the most popular restaurants at Walt Disney World - it features an open kitchen, a wood-burning grill (that smells terrific from outside) and an incredible buffet. Victoria Falls is the mezzanine lounge that sits just above Boma and serves up specialty coffee, tea, South African vintage wines, international beers, and cocktails. Each of the lodge’s rooms feature handcrafted furniture and art — much of it made in Zimbabwe. 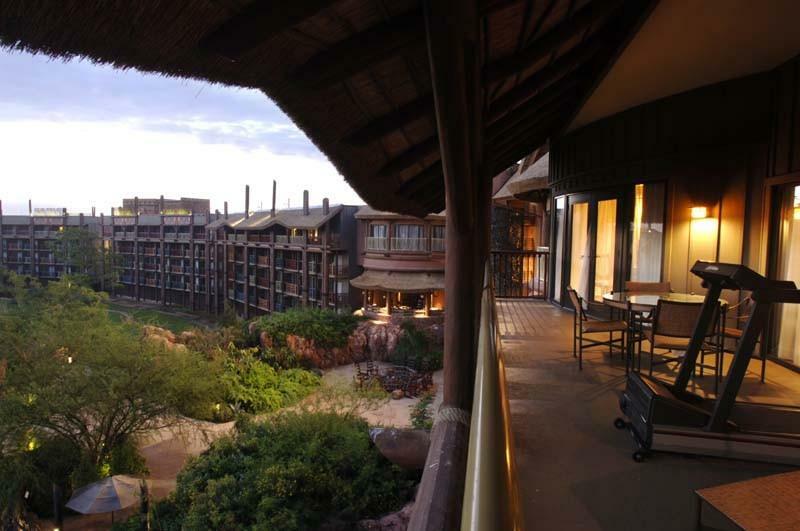 Animal Kingdom Lodge is one of two Deluxe Resorts that offers the option of bunk beds in many of the guestrooms. Also offered throughout the resort are standard rooms with 2 queen beds or 1 king-bed. Upgraded room categories include one and two bedroom suites and Club-level (concierge) rooms. It’s worth noting that the Club-level lounge is one of the highest rated among all of the Walt Disney World Deluxe Resorts. I know, this all sounds great but what about the animals! For the absolute best experience, try to be up just before sunrise (that’s early and you’re on vacation, but trust me it’s worth it). 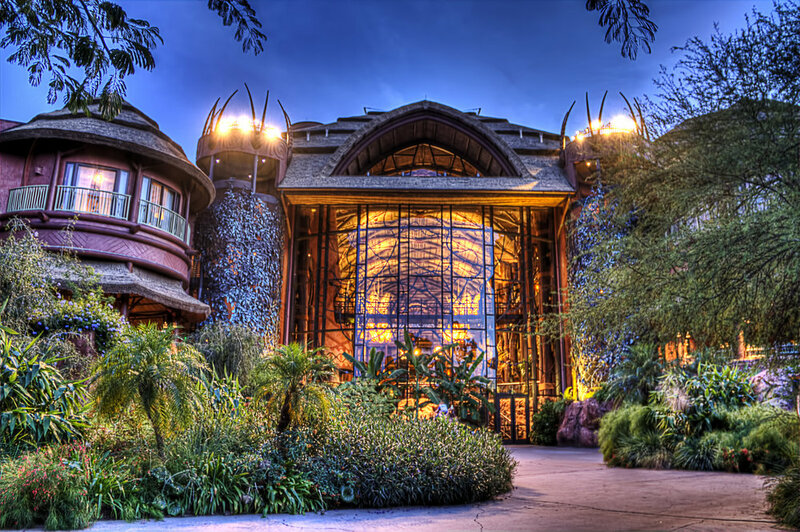 There are over 200 animals that live at Animal Kingdom Lodge and they become vocal and active just as the sky begins to turn brighter. And here’s a secret, you don’t need to stay in a savanna view room to enjoy views of animals. There are several outdoor overlooks around the resort with prime viewing locations. 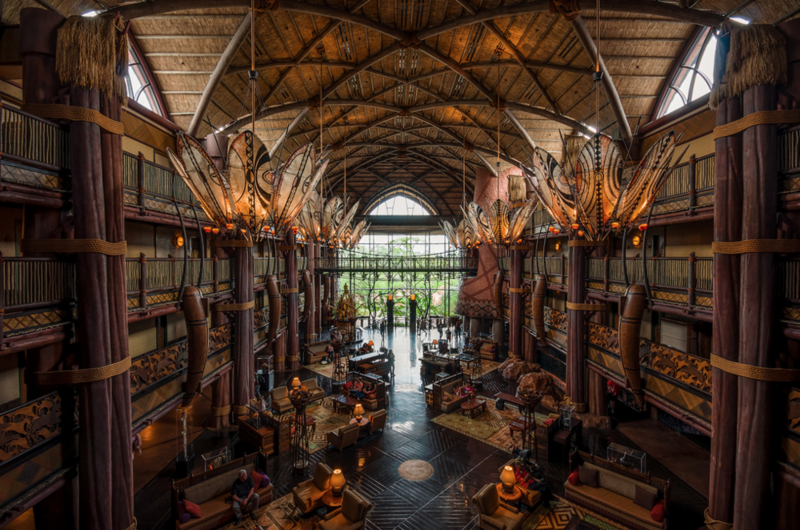 There are also several animal and authentic cultural experiences and tours that are offered exclusively to Animal Kingdom Lodge guests. 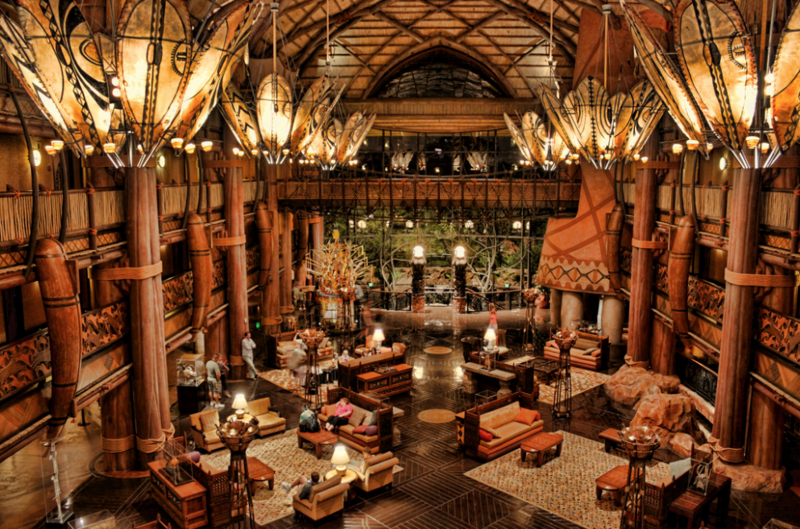 For more on Disney’s Animal Kingdom Lodge, check out this video tour below. And check for special offers on the Resort Offers Page. Newer PostAbandoned Epcot Pavilions No More!